As any Michigander knows, snow is a problem, but ice can be a disaster. Ice makes driving and walking very unpredictable. 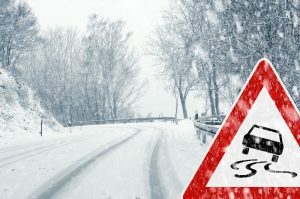 Most businesses will arrange for snow plowing every winter automatically, but do not consider that when freezing rain happens, roads and parking lots are just as dangerous. 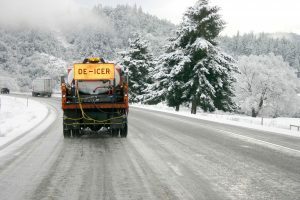 De-icing, or ice management, can prevent accidents on your company’s property and protect you from liability. You may not know how to handle ice on your property, but we do. Bykerk has the equipment products and experience necessary to clear the surfaces of your parking lot and sidewalks of ice and make them safe again to drive or walk. Call us. We would love to discuss how we can tackle your company’s de-icing needs this winter. Bykerk Landscaping is conveniently located in Caledonia, MI and services all of greater Grand Rapids including; Ada, Alto, Alaska, Byron Center, Caledonia, Cascade, Cutlerville, Dutton, East Grand Rapids, Forest Hills, Gaines, Grandville, Kentwood, Middleville & Wyoming. Bykerk Landscaping and Lawn Maintenance brings the right blend of educational background and industry experience to every job. Bykerk Landscaping and Lawn Maintenance, family owned and operated since 1975, still serves many of our original clients. Copyright © 2018 | Bykerk Landscaping Management, Inc.